A set of effect parts that can reproduce "full burst mode" comes up! The joints and part of the frame of Strike Freedom Gundam use matte gold plating! 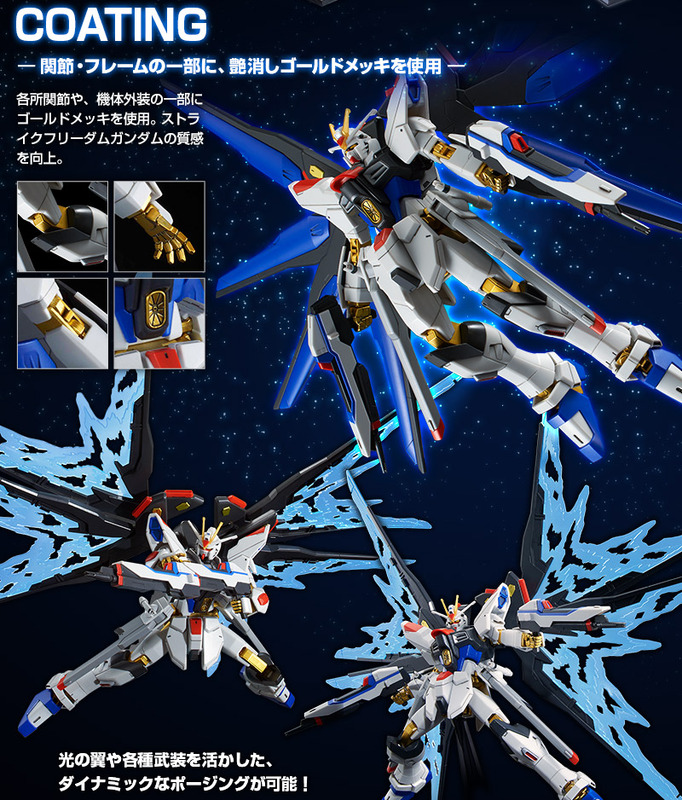 HGCE "Light Wing" corresponding to Strike Freedom Gundam is reproduced by new modeling. The clear blue molded color reproduces the shape and texture of the wing full of volume. Dragoon can be attached to the tip. 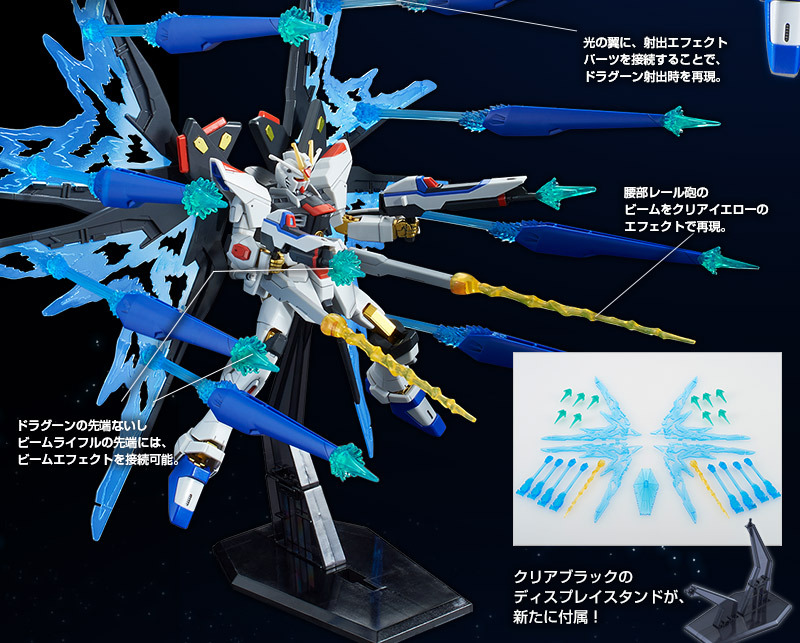 A full burst mode can be reproduced by the newly added various effect parts. Display stand is attached, too and can enjoy three-dimensional display. 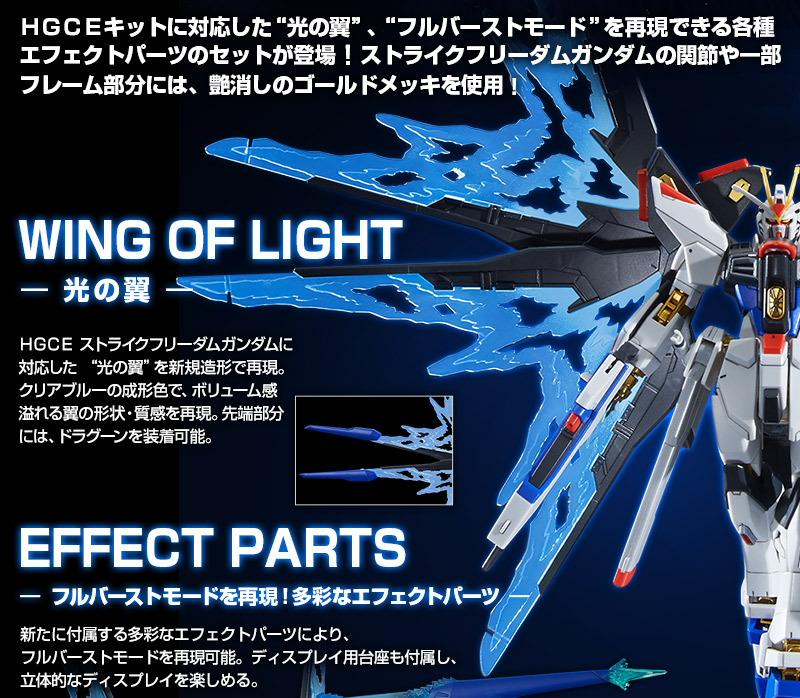 ・ Ejection effect parts can be connected to the wing of light and the base of Dragoon to reproduce the time of injection of Dragoon. -Reproduce the beam of the lumbar rail gun with a clear yellow effect. -Comes with clear green effect parts that are connected to the tip of the dragoon or beam rifle. Gold plating is used for each joint and part of the fuselage exterior. Improve the texture of Strike Freedom Gundam. ● Display stand of clear black is attached! 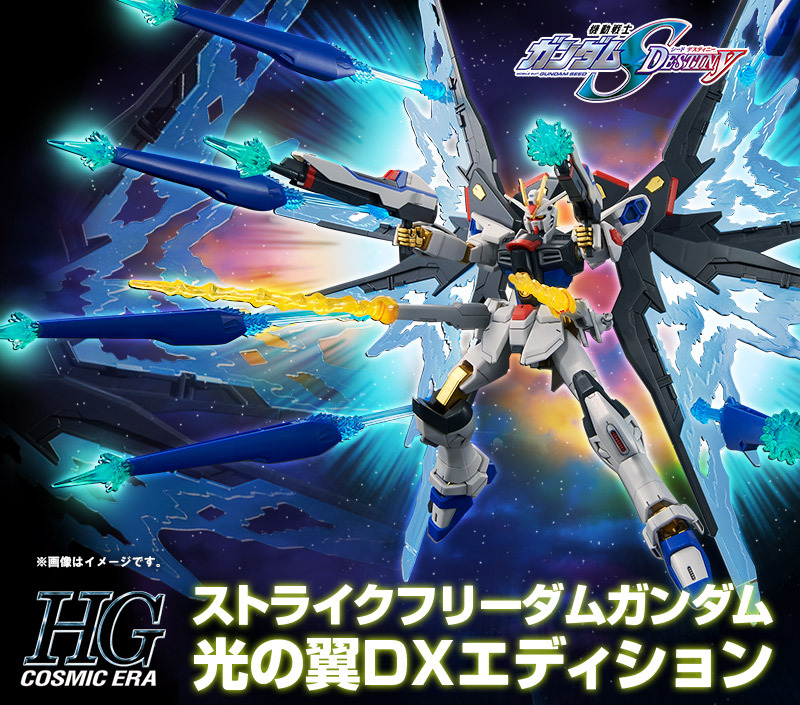 ● Dynamic posing is possible by utilizing the wings of light and various armaments!